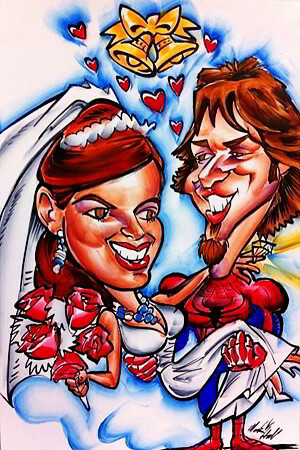 Custom Caricature Drawings & Art by Artist in Denver CO | Mark Hall Caricature Art Inc.
Make your cocktail hour fun and memorable by providing your wedding guests with complimentary caricatures by artist Mark Hall! 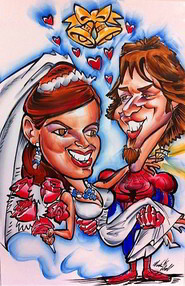 When it comes to finding a skilled party caricature artist,We guarantee smiles and the best caricatures in town Drawn while ” Strolling or Sitting”. 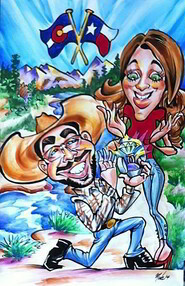 Turn your interests into a unique one of a kind gift or keepsake! 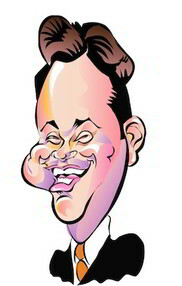 The possibilities are endless, Mark can help you come up with a few ideas. 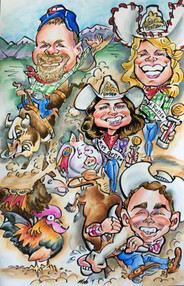 Browse our gallery or online shop to get a better idea of the quality of caricature art Mark can create for your next event or vacation. 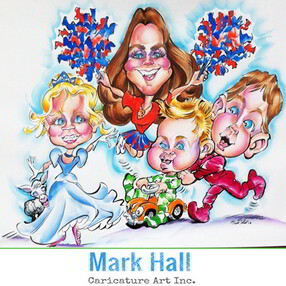 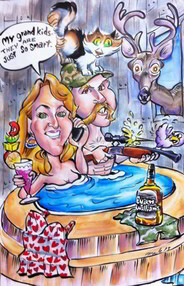 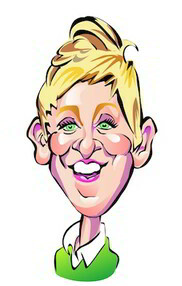 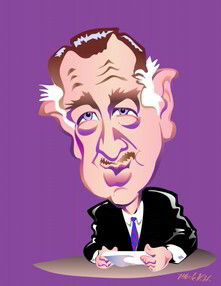 Welcome to Mark Hall Caricature Art! 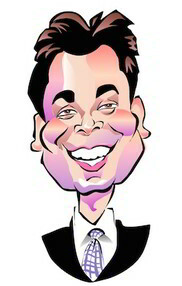 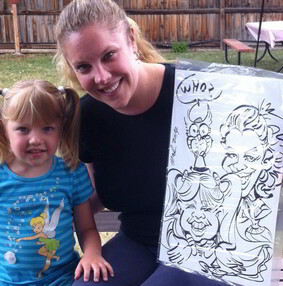 Everyone knows a caricature when they see one. 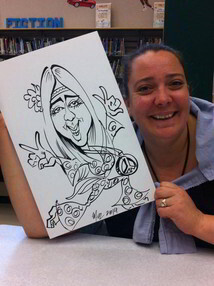 From the comically exaggerated features to the unique backdrops to the amusing poses, caricatures are fun and unique and capture people in an entirely different and distinctive light. 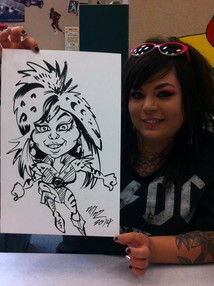 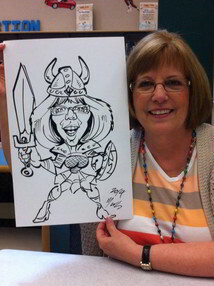 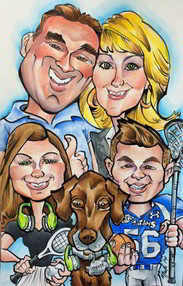 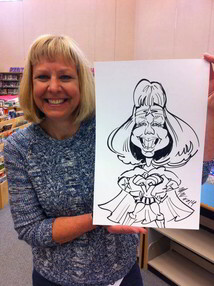 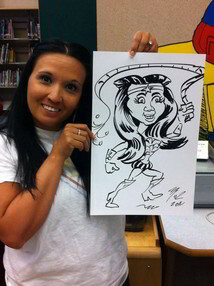 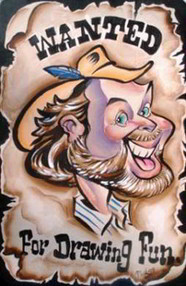 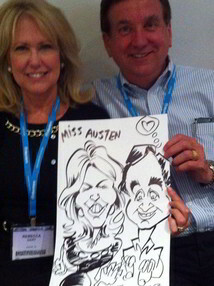 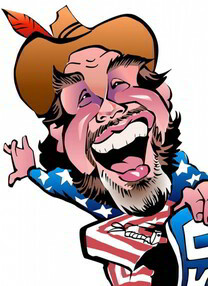 Make caricature art part of your next event with the help of Mark Hall Caricature Art! 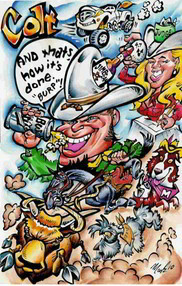 As an expert caricaturist with decades of drawing experience, Mark Hall has been making distinctive art a part of events in the Denver area and throughout Colorado since his childhood. 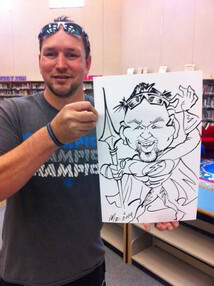 Since first picking up a pencil and starting his drawing career at the age of 6, drawing has been his passion and bringing his caricature skill to events has helped bring an air of whimsy and fun to a wide range of occasions throughout the years. 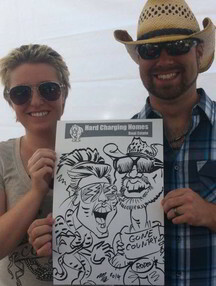 No matter what kind of gathering you’re planning, Hall’s caricature services can make it more fun. 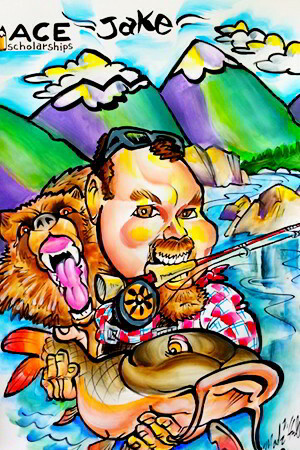 He has helped capture caricatures of guests at birthdays, weddings, anniversaries, corporate picnics and retreats and so much more, and is available to help make your next occasion even more fun with distinctive art. 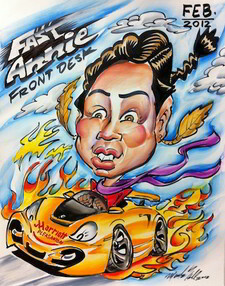 Whether as a caricature station as part of a carnival, a wandering mobile caricaturist to mingle and capture moments at a cocktail party or as a digital artist, creating caricature on a tablet for sharing with friends all around the world on social media, Hall can adapt his services to meet your needs. 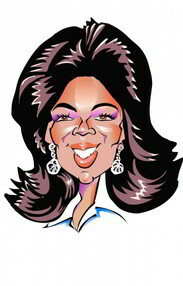 Each drawing focuses on bringing out the best version of an individual, highlighting unique hairstyles, accentuating a beautiful smile, showing off the twinkle and youthful spark in the eyes and so much more. 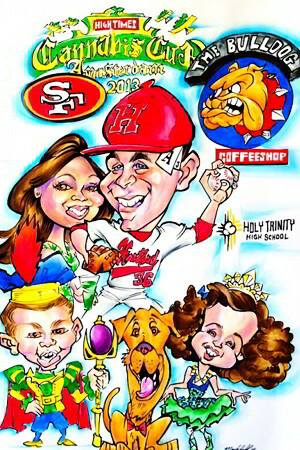 His distinctive caricature style is unlike anyone else, and Hall sees and captures you at your best in a permanent keepsake to cherish. 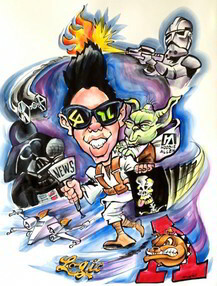 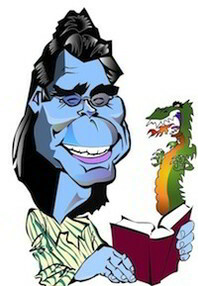 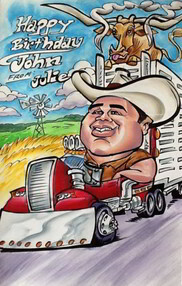 Hall has worked with events large and small and even drawn caricatures of celebrities, including Stephen King, Mario Andretti and Dave Barry. 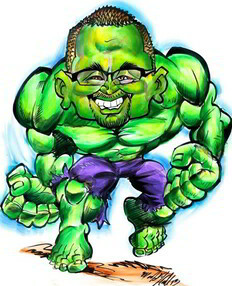 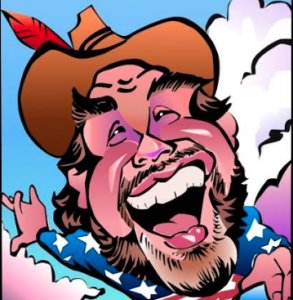 No matter your event and needs, Mark Hall is the caricaturist you need to provide that unique and fun spark to make your occasion one to truly remember! 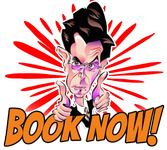 Services are more affordable and adaptable than you may think. 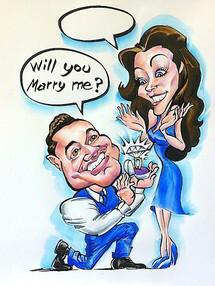 Find out more by calling Hall at 720-312-1220 or emailing info@caricatureart.com today! 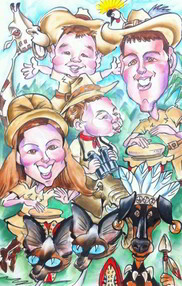 Group drawings can be done as heads only, full bodies or a combination on different paper sizes, creating unique mementos to frame and cherish. 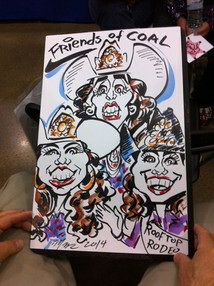 Plus, group caricature is free when you book two or more hours and pay in advance! 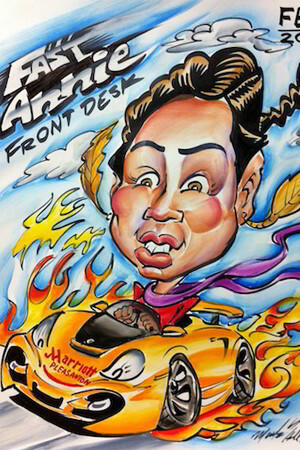 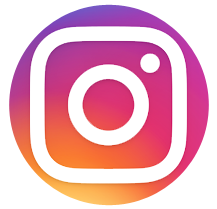 Mario Andretti/Tri-State Auto Show; Scott Hamilton/July Fourth private party; Gerry Ford Invitational Golf Tournament/Vail, Colorado; Richard Simmons and Fabio/National Realtors Convention in Florida; Stephen King, Dave Barry, and Amy Tan/authors party in Denver. 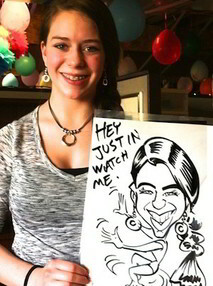 Hall can liven up your party with sitting or strolling caricature services. 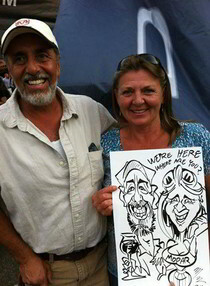 Custom drawings of your friends, family or guests can be completed in about 2.5 minutes, making great art as part of your fun-filled event. 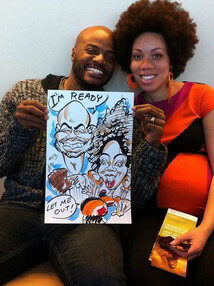 This is a great, interactive entertainment that your guests are sure to enjoy! 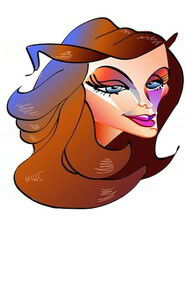 Hall’s skill with caricature uniquely captures your distinctive features and builds upon them, resulting in a piece of art that shows you at your best – vibrant, youthful and full of life! 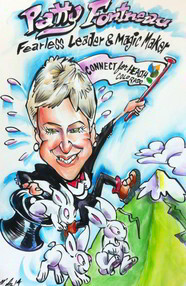 Bullwhackers Casino, Burger King, Ciber Inc., Colorado Federation of Women’s Club, Colorado Foundation Medical Care, Comcables, Comcast, Concentra, Continuum Partners, Coors Brewery, Coram Healthcare, Pacific Dental Services, Crop Production Services, Culvers Restaurant, Diversified Radiology, Downtown Boulder Inc., All Breed Rescue Network Inc., Denver Department of Labor, Denver Intermodal Express Inc., Dungarvin, Firestone, InstaKey, Denver Athletic Club, Hitachi, MedExpress, Medved Chevrolet, Metro Broker, Nelnet, Rose Medical Center, R.P.S., Spectrum, Wide Open West, WSA Insurance, Madison Street Co., Main Street Securities, Metromix, Oppenheimer Funds, Panera, Petco, Re/Max, Rental Guide Magazine, Resort Events Inc., Security Title, Service Source, SunGard, The Westin, The Wildlife Experience and Wells Fargo. 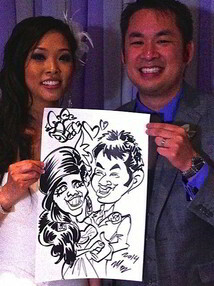 FREE: Group caricature when booking two or more hours. 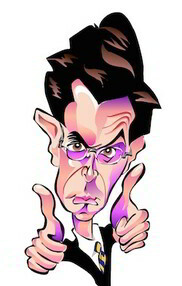 Paid in advance.